On March 30, 2018, 86 gram sabhas in Korchi taluka of Gadchiroli district in Maharashtra organised an auction for tendu leaves. The auction brought together more than 500 women and men from these gram sabhas. However, the day-long wait was in vain as no contractor turned up for the auction. These gram sabhas have called for re-auctioning on April 4, 2018. The year before saw a first-of-its-kind tendu revolution in India, when 140 gram sabhas in three talukas of Gadchirolli district organised themselves into a collective and auctioned tendu leaves independent of any external support—non-profits or government. The trade brought revenue worth Rs 17.1 crore in 2017 and saw enthusiastic attendance from several contractors. The gram sabhas maintained details of harvest, sales, and other financial transactions in their registers and submitted copies to the district collector and forest department too. Much to the disbelief of many, these gram sabhas demonstrated their skill and capacities to independently carry out a process of competitive bidding and meticulously maintain paper work. Gram sabhas in Korchi taluka had earned Rs 7.2 crore from tendu leaves in 2017. Eighty per cent of the revenue was distributed as royalty to the leaf collectors, and the remaining 20 per cent was retained for meeting administrative expenses. This year, the gram sabhas spent more than Rs 60,000 from their fund on advertisements, mainly putting out tenders in popular dailies. Despite all attempts to organise a successful auction, the complete boycott by contractors has thrown up critical questions. “It seems the contractors have colluded to avoid buying from us until mid-April. Tendu plucking will start by then, and we will be forced to sell the leaves at throwaway prices," says Siaram Halali, member of one of the gram sabhas. 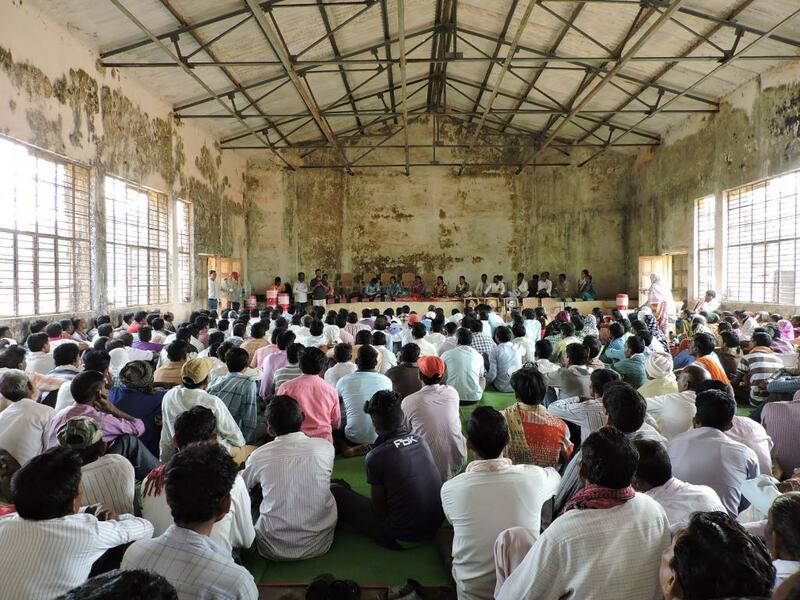 "Is it a deliberate attempt to undermine the political and economic power that the gram sabhas have?" ask other members of gram sabhas. Meanwhile, other talukas in the district also faced similar boycotts this year. Representatives of the gram sabhas met with the district administration to seek their support in auctioning the leaves. They were told that the administration could not do anything and gram sabhas should figure out on their own: their rights; their problems. "If the administration cannot help us in our time of need, who and what are they working for?" Halali asks. The gram sabhas have decided to give the auction another chance on April 4, 2018. They have also called for the district and the state administration to take urgent note of this situation and help resolve the situation. Tendu leaves have been a nationalised forest produce in most states in India, giving forest department the monopoly over its trade. Tendu collectors, who are the forest-dwelling tribal communities, worked merely as wage labourers, and the auction was carried out by the forest department. The rationale was to protect these communities from exploitation by middlemen. In 2006, the Scheduled Tribes and Other Traditional Forest Dwellers (Recognition of Forest Rights) Act or FRA was passed. It provided rights of ownership and sale of all non-timber forest produce (NTFP), including tendu leaves, to forest dwellers. FRA marked a paradigm shift from ‘protecting’ tribals to empowering them in the trade of NTFPs. Recognising this, Maharashtra deregulated the trade of tendu leaves through a notification in 2015. The Gram Sabhas in Gadchirolli had been exercising their rights of harvesting and selling tendu leaves under the FRA, and reaping huge economic benefits from it, in addition to developing their skills and capacities. The 2015 notification also states that gram sabhas can ask support from various government departments to manage private trade of tendu leaves. However, at this juncture, when these communities need support, government apathy is worrying and shows its lack of commitment towards tribal development, empowerment and livelihoods.